This sweet-tasting root, Sweet potato (Ipomoea batatas), is the main source of nutrition for Okinawans, a long-lived Japanese population. It is one of the richest vegetables in tocopherol (beta carotene), an antioxidant that helps maintain healthy skin and improves wound healing. Being rich in Vitamin A, it is also good for maintaining eye health. 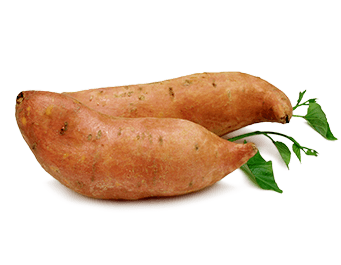 Sweet potato is rich in antioxidants, flavonoids and carotenoids which collaborate to improve cardiovascular health and reduce the levels of bad cholesterol. Because of its benefits to the circulatory system, this food improves cognition and helps improve memory.